The Duchess of Cambridge teamed up with the Queen for their first public engagement together as a duo. 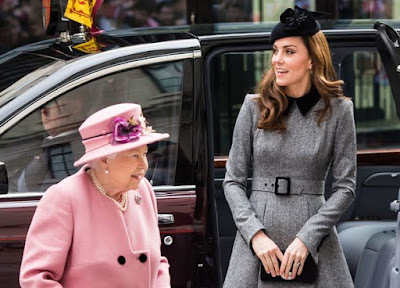 Kate went for a classy grey Catherine Walker dress while the Queen wore a Stewart Parvin Old Rose cashmere coat. 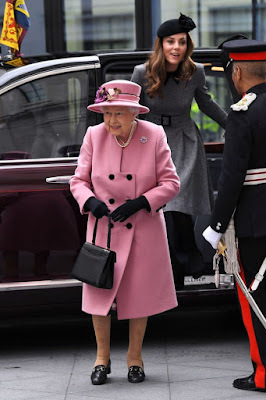 The Queen was also wearing a silk autumnal woodland dress in shades of grey, fuchsia and olive, a Rachel Trevor-Morgan hat, a pink sapphire and diamond surround broach. 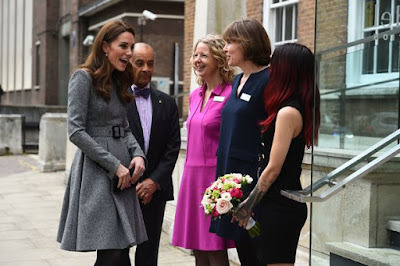 Today, she and Kate opened Bush House, the latest education and learning facility on King's College London's Strand campus. The Queen unveiled a plaque to formally open the facility. As the two royals arrived this morning, they waved and smiled at the crowds waiting for them. The pair appeared to be sharing a blanket to keep them warm inside the car. 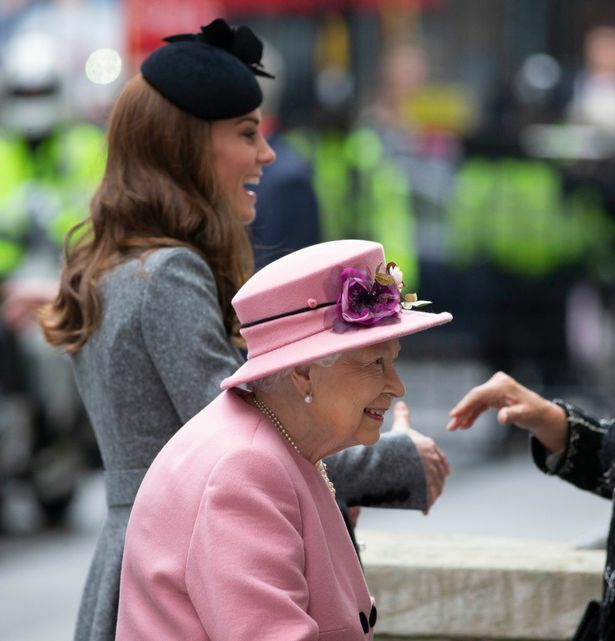 It is the first duo engagement Kate and the Queen have been on together outside of Buckingham Palace without any other members of the royal family, the Mirror understands. Guess she is queen fav. 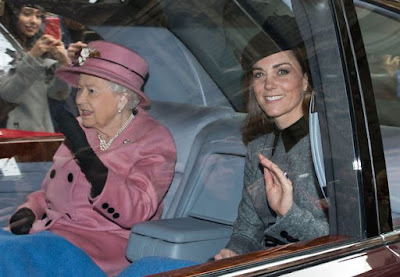 After so many years of marriage to William, she finally goes out with the queen just the two of them. Megan has done the same prior to kate.